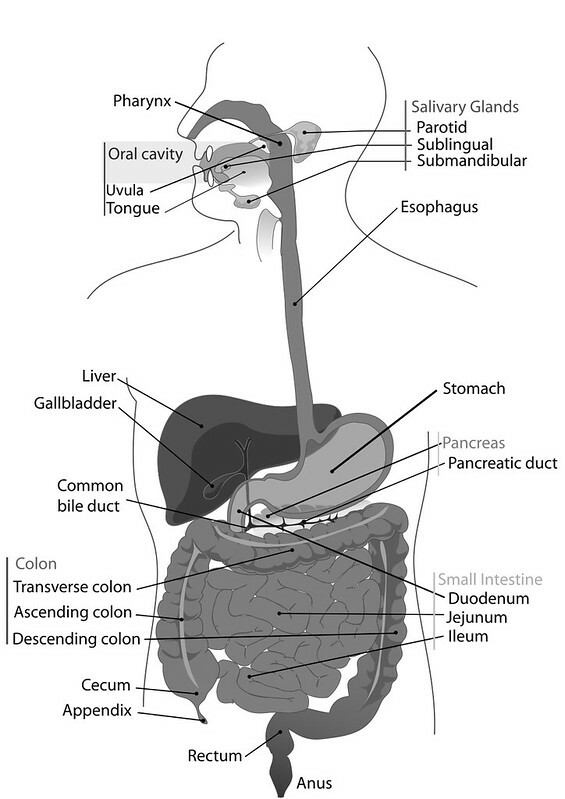 As we continue more south in digestion, after first the brain and the mouth, then the stomach we move from the first part of the small intestines, the duodenum and it’s interaction with the accessory organs, the pancreas, liver and gallbladder and into the function of the small intestine. After we leave the duodenum, the small intestine is less about the actual process of digestion, from a sense of breaking down the food we eat and it is more about the assimilation and absorption of nutrients. 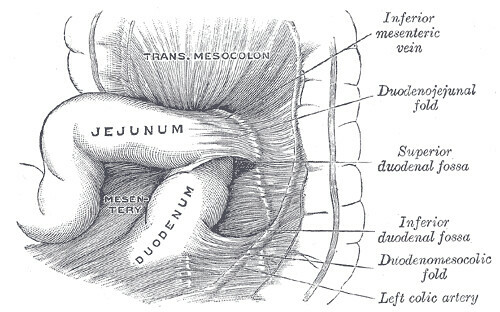 The first part of the small intestines, the duodenum, acts more as a part of the stomach than the small intestine and the jejunum, ileum and villi are responsible for assimilation. 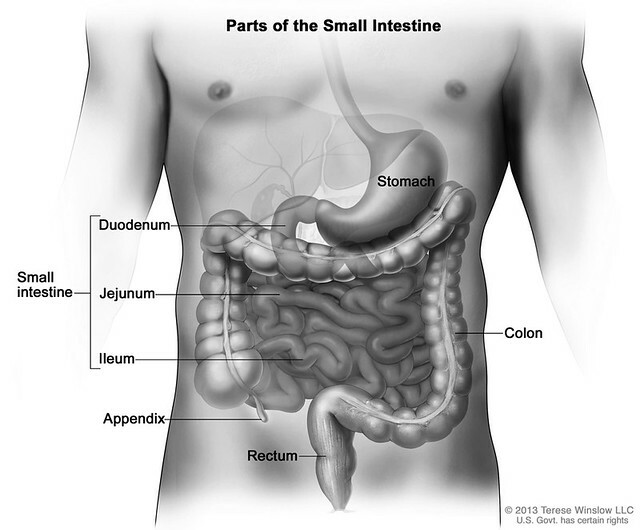 The small intestines have a dual role as an organ and a gland. As we talked about in the previous post, The Accessory Organs – The Pancreas, Gallbladder and Liver, the small intestine releases mucous to keep things moving and it also releases two hormones: secretin and cholecystokinin. Secretin stimulates the pancreas to release bicarbonate to lower the pH of the chyme and pancreatic juice. The CCK stimulates the gallbladder to release bile (to read more about these processes please see post #3). By the time that the chyme has left the duodenum, thanks to the processes of the accessory organs, the chyme should be almost entirely digested. Peristalsis, a series of wave-like muscle contractions moves these absorbable molecules into the jejunum and the ileum, the middle and end parts of the intestine. Within the small intestines, we have millions of villi, tiny finger-like projections that protrude from the epithelial lining of the small intestines. These villi and their microvilli absorb the nutrient molecules directly into the bloodstream, where they are carried throughout the entire body. – Glucose, amino acids, and short-chain fatty acids are carried by the villi to the capillaries and into the liver. – Long-chain fatty acids require bile for proper absorption and end up in the lymphatic system. To be broken down over time and head back to the liver to be used at a later time. Intuitively, the lining of our intestine, our gut lining, is very discerning, it only wants to let foods that are properly broken down, in the proper form right into the bloodstream through the gut lining. The leftovers, after absorption in the small intestines, it moves into the cecum, the first part of the large intestines, through the valve at the end of the small intestines, the ileocecal valve. As we have learned about in the previous posts in this series, undigested foods can come from not properly chewing, not being in a relaxed and calm state (parasympathetic mode), not having proper stomach pH and so on. As a result, rancidified fats, peutrified proteins and fermented carbohydrates end up in the small intestines and this can cause irritation. Over time this irritation erodes away the effectiveness of the gut lining, the villi and the microvilli of the small intestine. This undigested food can cause the lining to become leaky, where literally we can develop small pin holes in the walls of our intestine. Selectivity as to what is allowed to passed through the lining is lost – this is what is referred to as leaky gut syndrome. These undigested foods are allowed, in inappropriate forms and sizes, to pass through the gut wall into the blood stream. The immune system and it’s innate intelligence, sees these undigested foods as possible invaders or viruses and as an effort to protect you, to keep you alive and it begins to fight them off. What should have been a nourishing food is now one more assault on the immune system. As these foods get into the bloodstream and our immune system is responding, this can create food allergies and intolerances. While this may work to keep you safe immediately, as you can imagine, over the long term it will cause very serious issues. 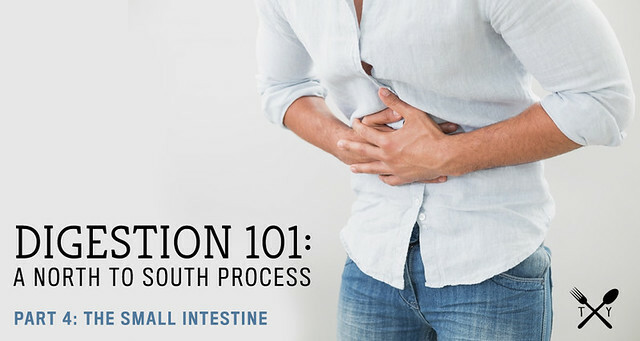 Without proper function, our small intestines can cease to absorb nutrients from our food and beyond digestive dysfunction this can cause malnutrition, nutrient deficiencies and so on. Additionally, we want the contents of the small intestines to be more alkaline. This is why the pancreas releases the bicarbonate. We absorb food from the small intestines right into blood stream, our blood stream maintains a pH of around 7.35 to 7.45, so we also wouldn’t want acidic chyme entering our blood stream and affecting our overall systematic pH. You will notice as we get further south in the process there are less suggestions for the specific location of the dysfunction and the protocol will call more for going back in the process and starting north. Remember, we don’t want to treat the symptoms of digestion but rather to treat the system and it’s function, as a whole. All of these more north processes affect the state of which the food enters the small intestine, which directly affects our ability to assimilate and absorb the nutrients from our food – our ability to be properly nourished by our food is central to our small intestine. After practicing these mindful eating habits, we can look next at Part 2 – The Stomach, to be sure that you are producing enough HCl. The stomach must be at the proper pH, 1.5 – 3, to activate the accessory organs to properly do their job, to release the necessary hormones, which signals the release of enzymes, bile, etc. It is important that we are properly triggering the pancreas to release it’s juices and enzymes to alkalinize the chyme and further digest the food and that we are eating the proper amount and type of fat to also trigger bile to be released to appropriately break down our fats. Read more about this in Part 3 – The Accessory Organs. The amino acid glutamine is fuel burned by the intestinal cells and is important to proper function and will help decrease intestinal permeability by increasing the thickness of the membranes in the intestines and general intestinal immune function. Daily bone broth consumption can also help aid in healing a leaky gut. Homemade bone broth created from high-quality grass-fed bones is abundant in collagen and gelatin, among many other nutrients, minerals and vitamins. Collagen protects and soothes the lining of the digestive tract and can aid in healing IBS, crohn’s, ulcerative colitis and acid reflux. Gelatin promotes probiotic balance and growth. Because gelatin helps break down proteins and soothes the gut lining, it may prove useful for leaky gut syndrome and the autoimmune disorders that accompany it. Taking a daily probiotic, may be ideal if you have an excess of pathogenic bacteria in the GI tract. The ideal forms of supplementation are L. acidophilus and L. Bifidus in capsule or liquid form. Live viable bacteria cultures require refrigeration and a daily dose of 3 to 7 billion organisms is an ideal dosage for regular use. 15 to 20 billion for acute bacterial or yeast infections. You should also include probiotic-rich fermented foods like sauerkraut, beet kvass, homemade yogurt, etc. From a gut healing standpoint there are unending lists of foods, supplements, protocols, diets and so on that I could suggest. Many of these are highly specific to the individual, the current state of their health and depending on the cause of the dysfunction, but most importantly the state of their healing. Putting a bandaid on a symptom when you haven’t first treated the underlying dysfunction (up north) is not a good approach. All of the gut healing foods, supplements and other protocols you read so much about these days, these will all be irrelevant if you don’t first fix your digestion from the most northern places. You will end up in a vicious cycle When the entire process is functioning as it should from the start, only then can we properly heal our gut and often times approaching our digestion from the north, the gut healing may resolve itself. 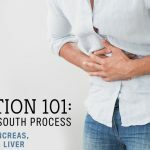 When working with a client, I would never jump ahead to suggesting supplements to treat small intestine dysfunction, before I first treated and dealt with the functions at the start of the process. There are certainly soothing symptomatic treatments to bring comfort and ease but from a standpoint of healing, I would suggest starting at the most northern positions and adjusting lifestyle, habits and healing – shifting from here, first.